Brian heads the firm’s Land Use and Zoning group. He represents developers, entrepreneurs, institutions, and individuals in land use and zoning matters, as well as tax assessment appeals and related litigation. Previously, he worked in the solicitor role for a number of municipalities. As a result, he has extensive knowledge and experience in managing matters at the municipal and state government levels. 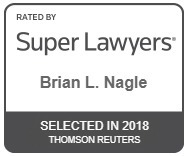 Since 2013, Brian has been consistently selected to the Pennsylvania Super Lawyers list published by Super Lawyers Magazine. 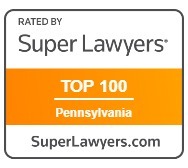 Only five percent of lawyers in Pennsylvania are recognized on this annual list, which is based upon a multi-phase rating process of peer nominations and evaluations, combined with third-party research. Successfully represented a commercial developer in all phases of the development of a multi-unit office building including: 1) property acquisition/agreement of sale negotiation, due diligence, financing and settlement; 2) obtained conditional use and land development approvals for the office building; 3) worked through environmental issues with the Pennsylvania Department of Environmental Protection and the local conservation district; 4) represented the same client in the creation of an office condominium for the project. Successfully represented a client in obtaining numerous variances followed by conditional use and land development approvals for the construction of a bank. Successfully represented non-profit corporations in seeking and obtaining real estate tax exemptions. Successfully represented commercial and residential clients in real estate tax assessment appeals. 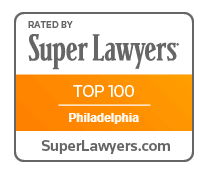 Successfully represented clients in a real estate seller’s disclosure law case. Successfully represented clients in seeking and achieving the striking of mechanic’s liens. Successfully represented clients in addressing complex zoning and other municipal issues. Successfully represented many individuals in buying and selling commercial or residential real estate. 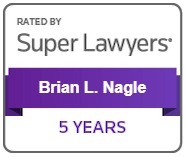 Brian Nagle has been my attorney for many years and has also become a great friend. He has completed everything that was asked of him on time, in an excellent manner, and below initial budgets. I have used him on land development, corporate issues, and seek (and trust) his counsel on a variety of subjects. I have spent hundreds of thousands of dollars with his firm in the last few years and have always felt every dime was used wisely.